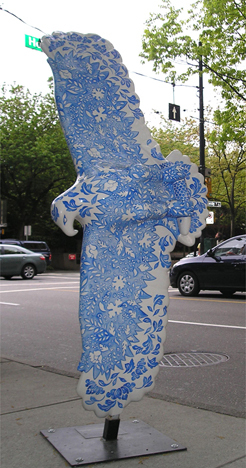 As part of the Eagles in the City Project, "Blue" is a soaring eagle, painted with traditional porcelain flower patterns. It is located at the busy downtown Vancouver intersection of Robson Street and Hornby Street, near the Vancouver Art Gallery. Monies raised by the auctioned sales of all eagles goes to the BC Lions Society Easter Seals Services and the Canucks for Kids Fund. This mural was executed in paint to give the illusion of a Portuguese tiled wall, and depicts a number of landmarks of Macau, all set in chronological order. From left: The A-Ma Temple gate, the facade of St. Paul's Church, The Leal Senado (senate house), the lighthouse of Guia, the statue of Koon Yam, the Portugal-China Friendship Gate, and the Grand Lisboa Hotel and Casino. In the forefront is the monument to the Macanese Diaspora in the Leal Senado Square, surrounded by a traditional tiled wave pattern on the pavement. The image is framed by a tile pattern after the original Portuguese tiles of the Leal Senado courtyard. The Casa de Macau clubhouse was inaugurated with the unveiling of this mural on September 6, 2008, in the presence of dignitaries from Macau, the Consul General of Portugal in Canada, and the Major of Richmond. 2006, located outside Government House, Victoria, BC Spirit Bears in the City, Victoria, Canada. 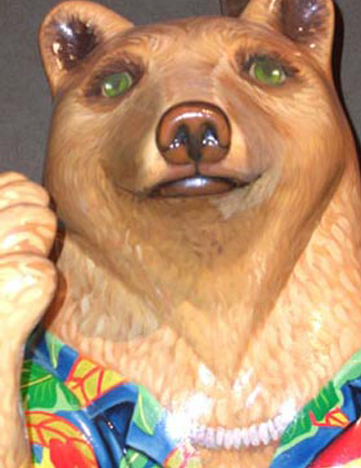 This was the third bear painted for the Spirit Bears in the City project and was sponsored by the Provincial Government of BC to represent a natural looking Kermode Bear, the new mascot of British Columbia. It was sold at live auction in Victoria in November 2006. The special auctioneer for this bear was Minister Pat Bell, Provincial Minister of Agriculture for the Province of BC. 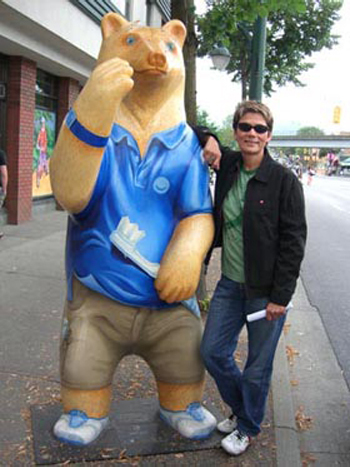 This was Boursicot’s second bear painted for the Spirit Bears in the City project and was sponsored by the Broadway Station Dental Centre to represent a typical dental patient. It was sold on www.go-bid.ca and funds raised by this bear and all the bears of this project went to the BC Lions Society for Children with Disabilities. 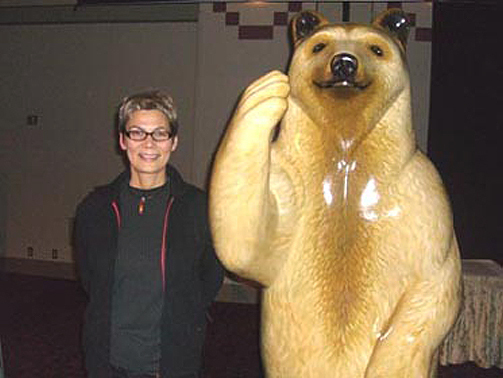 This was one of the first of four bears to be unveiled in November 2005 to launch the Spirit Bears in the City project 2006. The sponsor for Beach Bear was Harmony Airways. Spirit Bears in the City Project was a fundraising project organized by the BC Lions Society for Children with Disabilities. The sponsor for this orca was HSBC of Canada. The orca was on display at HSBC’s Pendulum Gallery on the corner of Georgia and Hornby Streets in Vancouver. 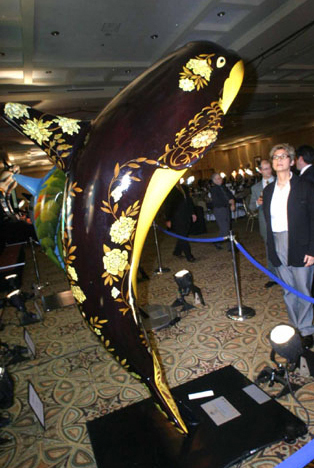 It was one of 65 orcas auctioned by the Lions Club of BC in October 2004 and is now a permanent fixture at the Pendulum Gallery. 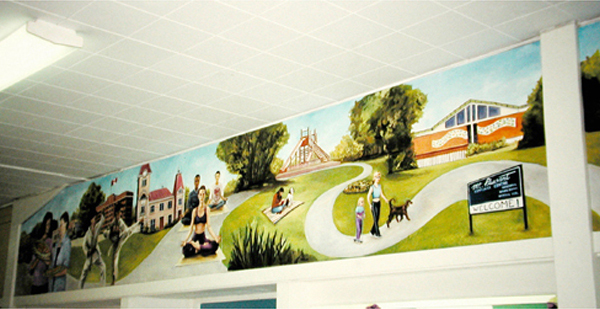 Completed as a Parks’ Board Artist Residency project, this mural involved members of the community centre staff and members of the community. It commemorates the current community centre building, the activities inside the building, as well as landmarks in the surrounding neighbourhood. 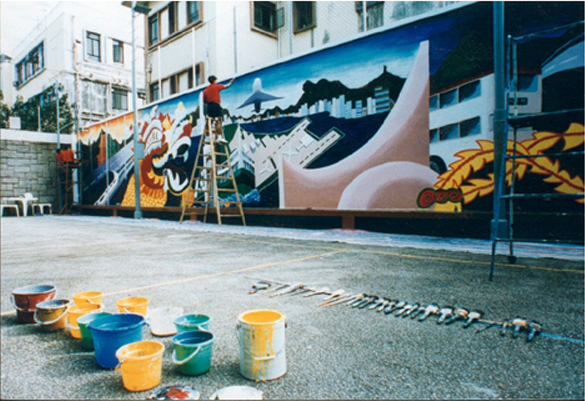 Sponsored by the Hong Kong Youth Arts Festival, this mural project took place at Begonia Road Boys’ Home, a government-run correctional home, and included 25 boys as well as 4 of the home’s teachers. The mural spanned the length of a basketball court. 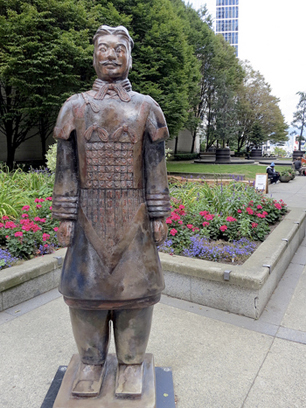 One of the Terracotta Warriors in the City project by BC Lions Society, Guardian Warrior is sponsored by the Michael O'Brian Family. It represents what one of the warriors would have looked like as it was unearthed in China in 1974.